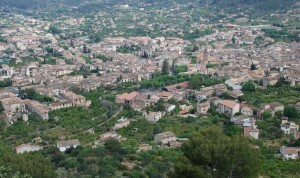 Sóller borders on the municipal areas of Fornalutx, Bunyola, Valldemossa and Deià. Like many parts of Mallorca, the region of Sóller boasts an abundance of sunny days, with 7 hours in average in spring, 6 hours in autumn and 5 hours of sun per day in winter. In summer months, you can expect to enjoy 10 hours of sunshine per day. The weather in Sóller is peculiar to the maritime Mediterranean climate, with warm hot summers and short mild winters. August is the hottest month in Sóller with the highest temperature of 30°C and the average of 25°C, and the coldest are January and February at 4°C as the lowest temperature and the average of 9°C. The wettest month is October with an average of 63mm of rain, and the driest months are typically June and July, with the 11.5mm of rain. The thermal variation of the water has a range of around 21°C in autumn and 23.6 °C in summer. During the winter, it drops down to about 15.6 °C. The highest average sea water temperature is usually in August, September and July. The best month for swimming in the sea is in August when the average sea temperature is 25°C. Situated deep in the heart of Serra de Tramuntana mountain range and the valley notable for its groves of oranges and ancient olive trees terraces, the municipal district of Sóller is a renowned destination for people from around the world. Particularly, it is an attractive location for those visitors and second home buyers, who enjoy nature, walking and swimming or are simply seeking for a peaceful rest away from the noise of the popular tourist areas. Prices on Soller property market are below island’s regular. The average price in Western Mallorca ranges from Average price per sqm. in Western Mallorca €3,906 0% properties#: 128 last change on: 19 Apr 2019 €3,906 per square meter for an apartment to Average price per sqm. in Western Mallorca €4,175 -1% properties#: 535 last change on: 19 Apr 2019 €4,175 per square meter for a house. Investment opportunities are also available for Average price per sqm. in Western Mallorca €3,887 0% properties#: 33 last change on: 19 Apr 2019 €3,887 per square meter on average. 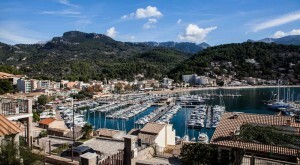 Real estate agencies offering the greatest number of listings on Soller property market are Mallorca Dream Homes and XC Properties with nearly 70 listings, followed by Kühn & Partner and Habitat Soller with nearly 50 listings in the area. By right, Sóller is one of the unique places on Mallorca due to its natural isolation and the beautiful landscapes, where the sweet aroma of the orange blossom and the sea come together. The municipality has become wealthy a hundred years ago thanks to its citrus groves. The microclimate of the valley produces exceptionally sweet and juicy oranges. They are growing most of the year, but the main season is from February to August. The local festival of Taronja annually celebrates the golden fruit. The region is mostly favoured by the couples of middle age and those, who are interested in nature scenery and walking. It is a perfect base to get to the mountains and a starting point of a great number of hiking routes. There is a network of cobble-stoned trails through the mountains, which makes it a wonderful place for a hike, especially in chilly months of the year. This part of the island, where mountains are rising from the sea, has long been the greatest appeal to artists. The constantly changing landscape offers a great source of inspiration. The painting has become a local trademark and many Spanish and foreign artists have come to this region to paint, and some of them made it their home. 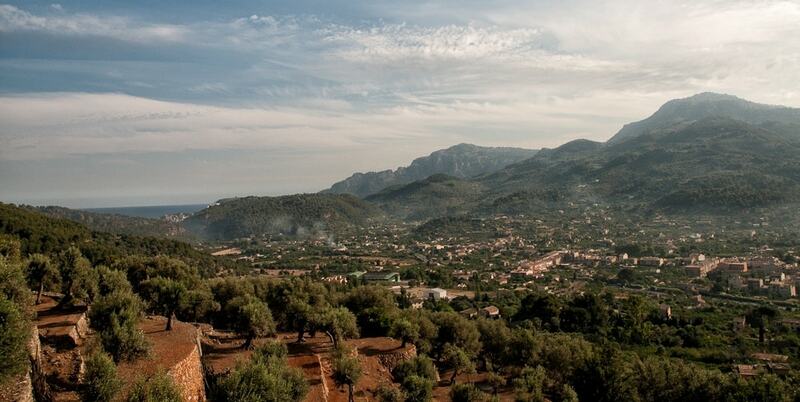 The centre of the municipality is the traditional old town of Sóller, nestled in the middle of the valley of oranges. Besides excelling mansions and architecture of art nouveau style, it offers many attractions to its visitors and residents. Sóller town lies just a couple of kilometres inland from the Port de Sóller, the only port in the west coast. The both areas are very famous for its diverse landscape, including mountains, beaches, sea, canyons and ravines. Conveniently, the town and the Port are both linked to the capital city of Palma by the historic railway of the Ferrocarril de Sóller, dated back to 1911. Also, there is a famous vintage tramway called the Orange Express that runs from the town to the port. The Sóller train and tram still maintain all their charm of the beginning the 20th century and over the years they have become one of the main attractions on Mallorca. Sóller municipality also has a few satellite villages. Fornalutx has been considered as Spain’s prettiest village and lies a few kilometres within the valley from Sóller. On the way, you also have the opportunity to go through a tiny and sleepy hamlet of Biniaraix. At both villages, it seems as if the last hundred years have entirely passed them by. Here, you will experience the traditional way of living in Mallorca, showing exactly how the island used to be before the arrival of tourism. This way, Soller property market is ideal for all those looking for a quiet and relaxing holiday and second home location in a unique and picturesque setting.